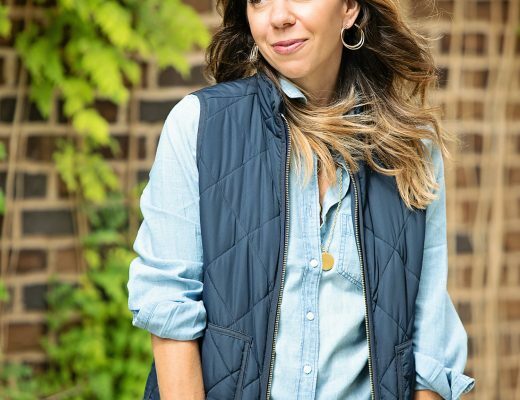 With the change of season comes a new wave of reader questions about what to wear for a family photo. 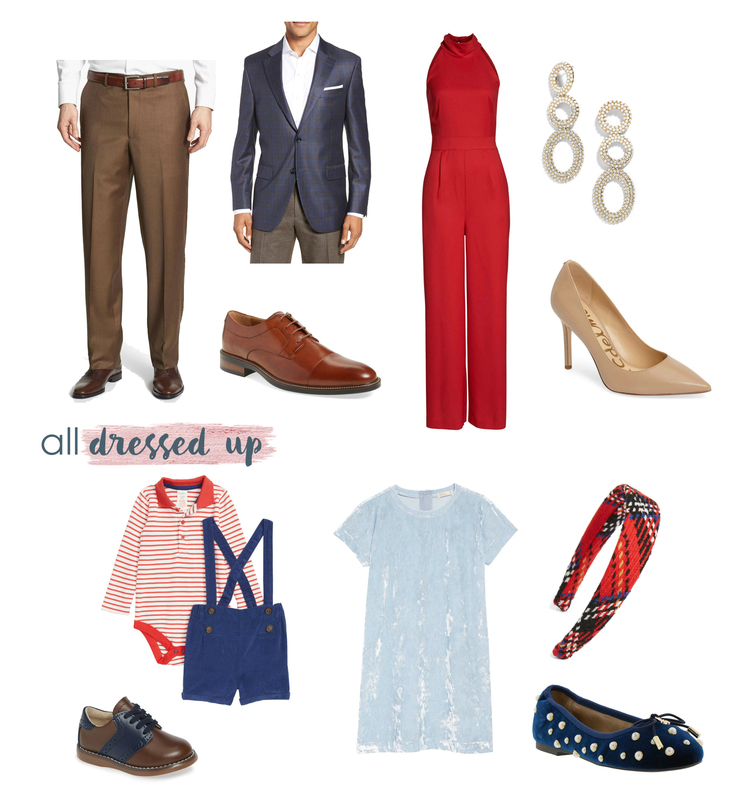 We’ve done posts like this before… family photo outfit inspiration by color theme, one with an occasion theme, one with general tips, another one with color combinations… but we never did one by store! Sometimes one stop shopping is easiest! Especially when you may already have a few items in your closet, but are just looking to round it out. We’ve gotten a lot of questions about denim and is it a do or is it a don’t when it comes to family photos. And our answer is DO! Do you! 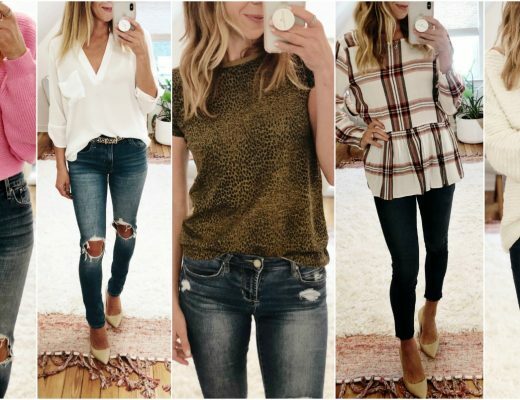 If denim is what makes you comfortable then wear it. The important thing when it comes to family photos is that you have to be comfortable… because no matter what you wear it’s those smiling faces that will really shine through! 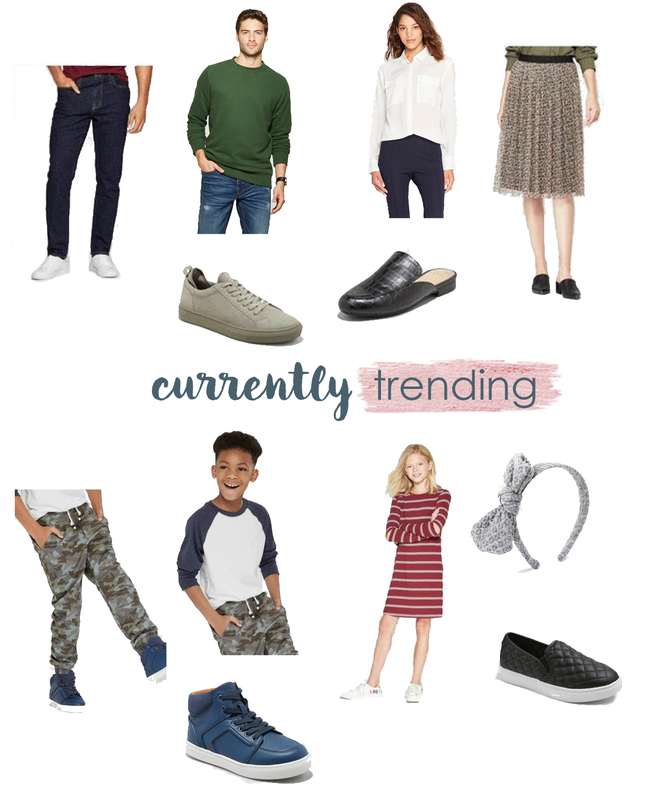 So without further adieu here is our latest installment of family photo outfit inspiration from a few of our favorite stores. 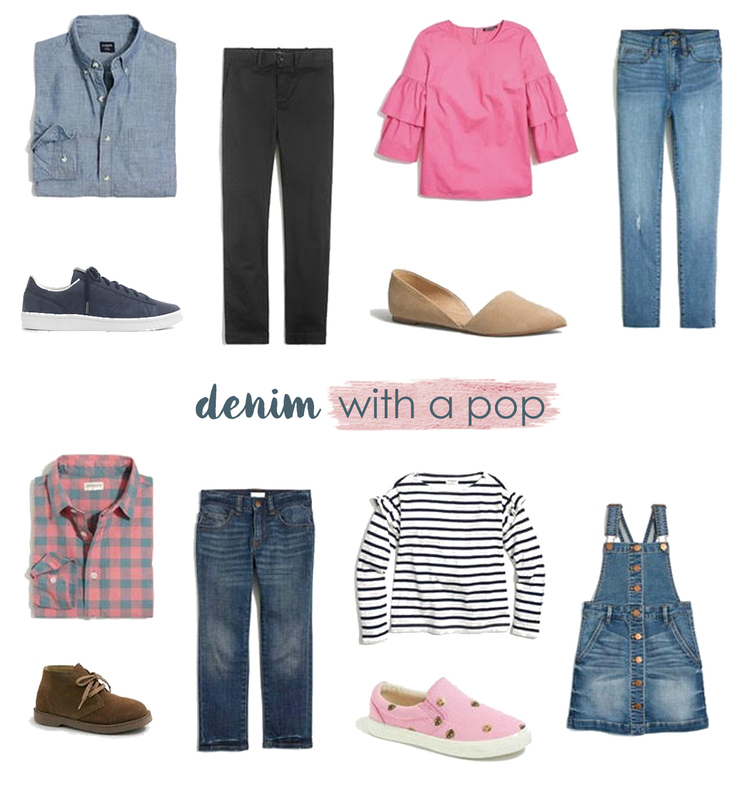 Denim takes on new life with a pop of pink. Denim can be dressy with a few hints of burgundy. 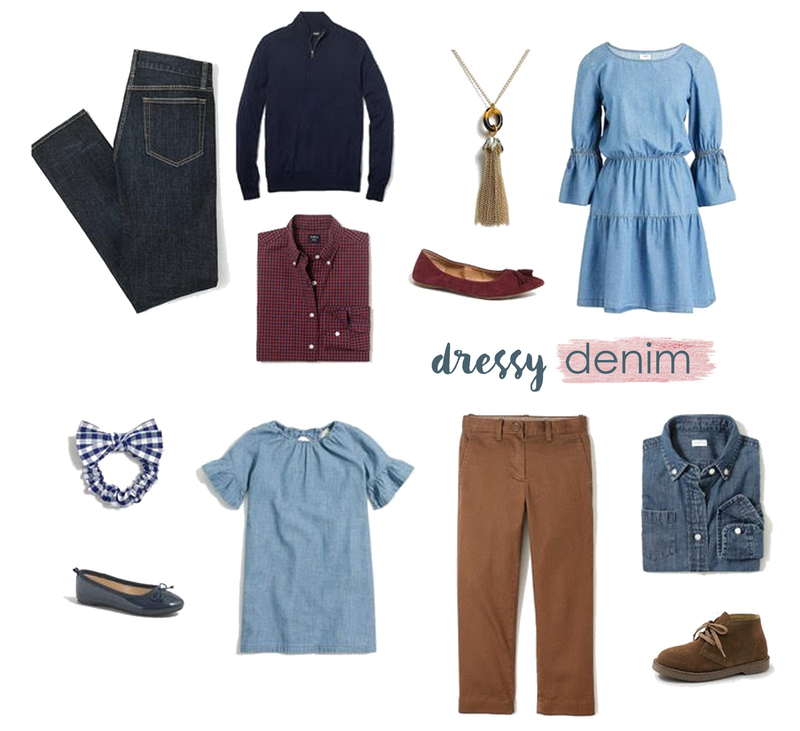 If denim isn’t your think, try out corduroy for a fresh fall look. Red, white and blue takes on a whole new feeling come winter time. And because we are always at Target we might as well pick up on some of the seasons hottest trends.